Chris Olson's Memories of Elvis Show! Elvis Impersonator, Elvis Tribute Artist (ETA), Impressionist, Elvis Performer, AYTEG (aren't you that Elvis Guy?). Whatever you call it, it's all words that describe what I've been doing for a living for over a decade. Hello, My name is Chris Olson and this is my archive of some of that decade of performing as the King of Rock and Roll, Elvis Presley. Please enjoy! "While Chris Olson always wanted to be a pop singer, he never dreamed he'd be hitching his star to the king of rock 'n' roll. Now, much like Elvis' temperature, Olson can feel his career rising"
Contact Mary Ann to purchase. 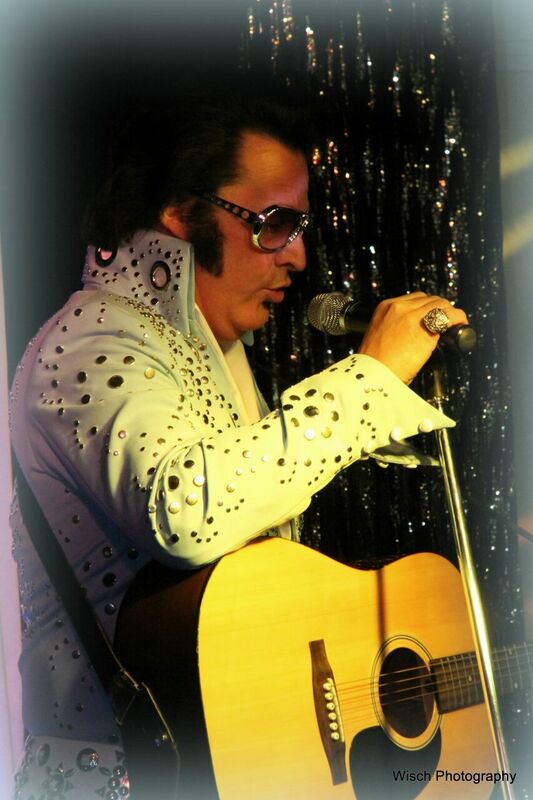 Book Elvis for your next event! Public Shows, Private Party and Special Event bookings are welcome. at 612-860-6078 or contact her by email.